Hertz is only one part of the powerful Elettromedia company, based in Italy. Elettromedia was started in 1977, with the Hertz division founded in 1998. For the past 20 years, Hertz has made a huge impact on the audio manufacturing market. 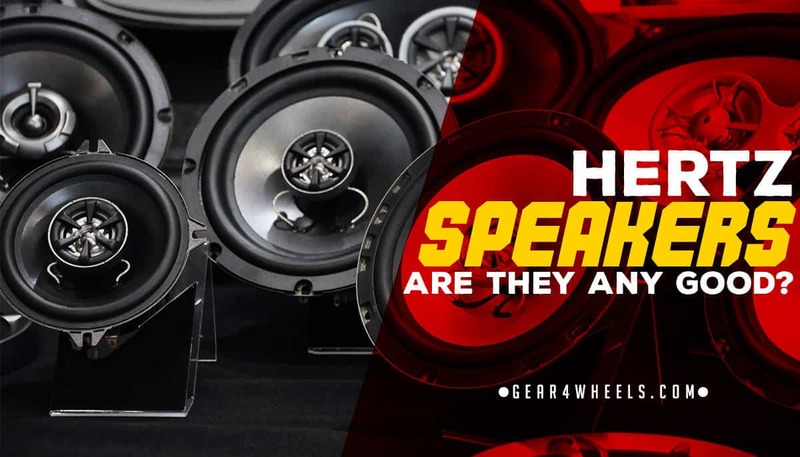 Backed by the many years of Elettromedia’s experience, Hertz has stabished as one of the best brands for car audio speakers. It doesn’t stop there, because you’ll also find water and dust resistant units which are perfect for using on boats. This range is Hertz’s entry level range. The series mostly offers coaxial speakers. These units are perfect for upgrading a vehicle’s sound system as provided by manufacturers. Their exterior style is classic black and grey, so most vehicle owners will love them. Their price range also enables most owners to afford them, so anyone can have an upgrade of their auto sound. The Dieci series offers both component speakers and coaxial systems. You can enjoy undistorted sound at high volumes. The complete range includes woofers, and Hertz even supplies sub boxes for the enthusiasts who want to both feel and hear the bass tones. Hertz’ Energy series shows improvement in many aspects of car audio systems. This improvement is both in the variety within the range, as well as the quality sound the components provide. Whatever your preferences are, you’re sure to find it in the Energy series.Hertz includes both component and coaxial systems in this series. Hertz includes items such as grilles and sub boxes, so you can purchase all necessary parts for the ultimate car sound system. Yet another upgrade in system is found in the Hi-Energy series. This range uses state-of-the-art technology and is a much more advanced range of speakers. Tetolon domes that are soft and the exact amount of stiffness. The speaker baskets are made from die cast aluminum. All of these features work together to offer you some of the best speakers in Hertz’s product lineup. You can’t get better than the Mille range on Hertz’s product list. This range is designed to offer drivers a sound experience that matches a live performance or a home stereo experience. From the crossovers to the basket and the voice coils, the Mille range uses only the best materials. The range has variety, so whether you need a component or coaxial system, you’ll find your required items—of exceptional quality—here. The Hertz DCX165.3 is an excellent option in terms of functionality and installation. To top this off, the speakers’ minimalistic design is perfect to fit any car’s interior. You can install them yourself as they’re easy to fit. They do have an average mounting depth of 2.5”, so keep space in mind before you start the process. The speakers support high-pitched tones as well as low notes, thanks to the neodymium tweeter and PEI dome. However, you won’t hear your very low bass notes as it only supports from 60Hz upwards. You’ll love that there’s virtually no resonance, thanks to the thermoplastic polyurethane surrounds. These speakers have a reputation thanks to their clarity and power. This makes them an excellent option to upgrade an existing car audio system. The low frequency support is limited, so consider adding a woofer if you’re in search of pumping bass sounds. Thanks to the neodymium REN tweeter you’ll get amazing high-frequency sounds. These sounds are further enhanced by the silk used as part of the cone. Some users say it might even be too sharp. You may need a professional to tend to this, as it’s possible to tune the system to a correct setting so your ears will no longer get tired from these high pitches. This speaker system incorporates tweeters, woofers and crossovers. If you’re installing them yourself, make sure you find space for all these components. You have to build a protective box that houses all parts; therefore, this isn’t the easiest of systems to install. You’ll love these Hertz HCX690 speakers for their range and power. You can push a lot of watts through these speakers without damaging them. These speakers are so good, that I chose them as the best 6x9 car speakers of 2017. A vibration proof magnet cover. This prevents distortion of sounds. The damped mesh fiber used in the woofer component. These amazing features can easily become part of your car’s sound system, because the HCX690 model is easy to install, as long as the oval shape doesn’t cause any hassle. When compared to other speakers of this type, you’ll love that low frequencies are supported; bass sounds from as low as 32 Hz can be heard through these speakers. If you want even lower tones, you’ll need an additional woofer, but for the average music lover, this speaker should suffice. They aren’t the typical rounded shape. These coaxial speakers don’t support the very low bass tones, but it produces sufficient mid and higher notes. This is assisted by the Rotary High Frequency Contour (RHFC) system in the tweeter. This system allows you to position the tweeter in the exact place where it produces optimum sound throughout the vehicle. These speakers present you with all the features that are synonymous with Hertz. This includes excellent insulation via polymer rubber surrounds, which protect the speaker units and enhance sounds. This is done via the “less loss” feature of these surrounds, so no sounds can be lost or bounce back to create echoes. Hertz seldom disappoints. Reading through this review, I’m sure you can see how Hertz’s range of speakers offers something for every car owner. Hertz’s signature features of durability and quality shines through in each unit, so you’re sure to enjoy your sound system if it’s got the Hertz logo attached to it.